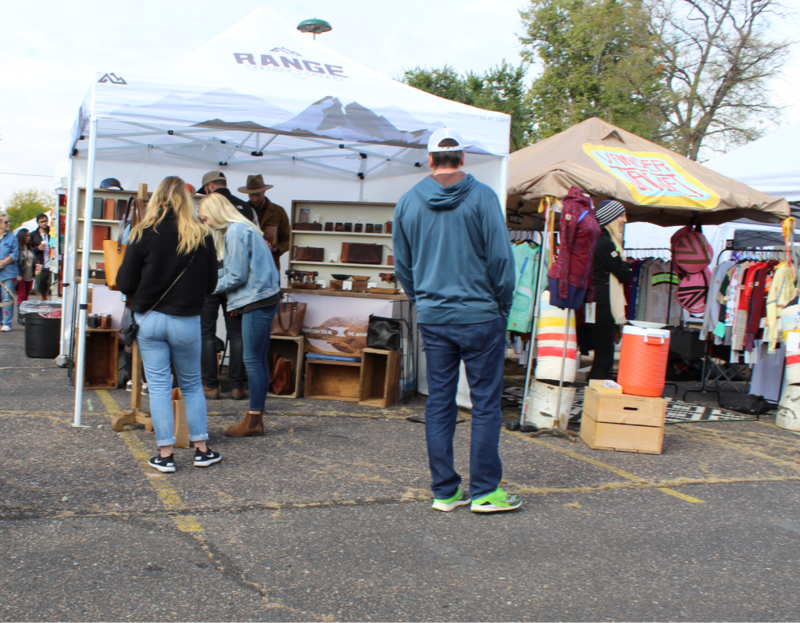 There was a chill in the air this past Saturday, but the overcast day served as a perfect backdrop for the Fall Horseshoe Market. 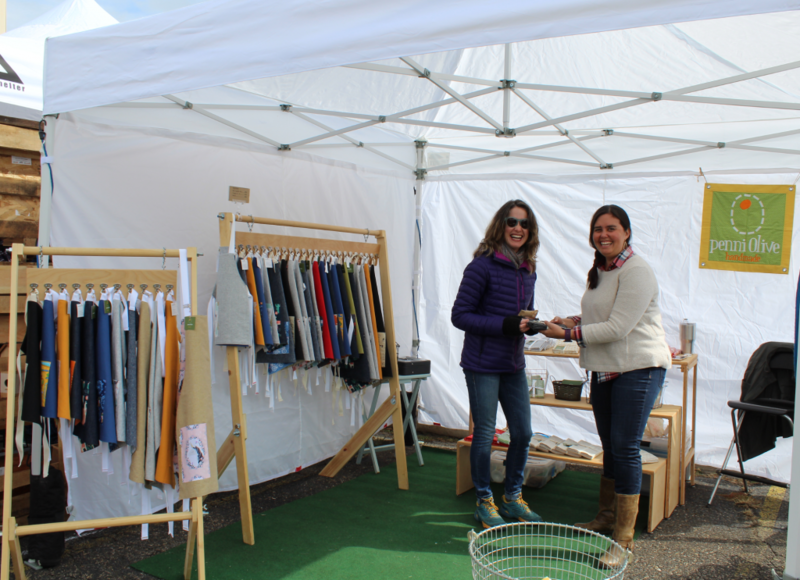 We couldn’t think of a better way to celebrate our 9th anniversary as a Denver craft and flea market! 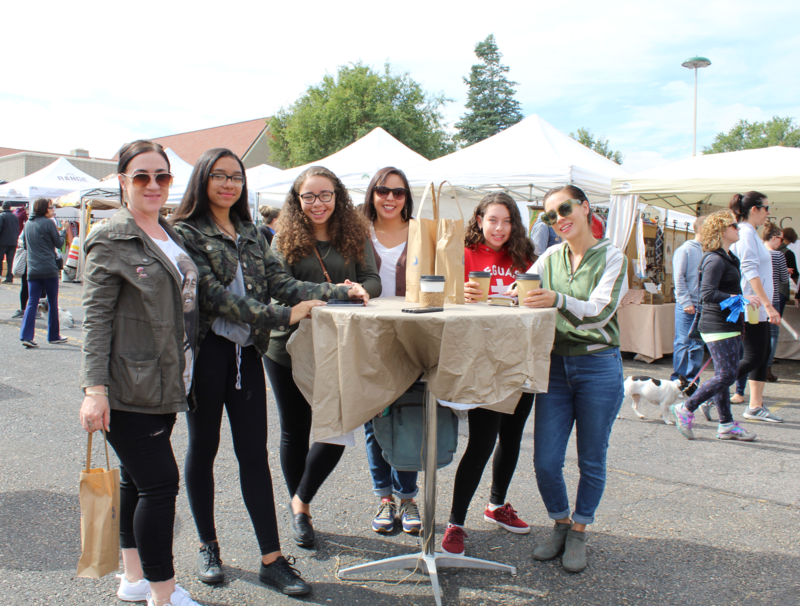 The smell of fresh coffee wafting from the Bean Machine van greeted attendees entering the market. Parked nearby was the free Picture Me Camping photo booth, an adorably retro vintage camper turned into a mobile photo booth, complete with fun props. 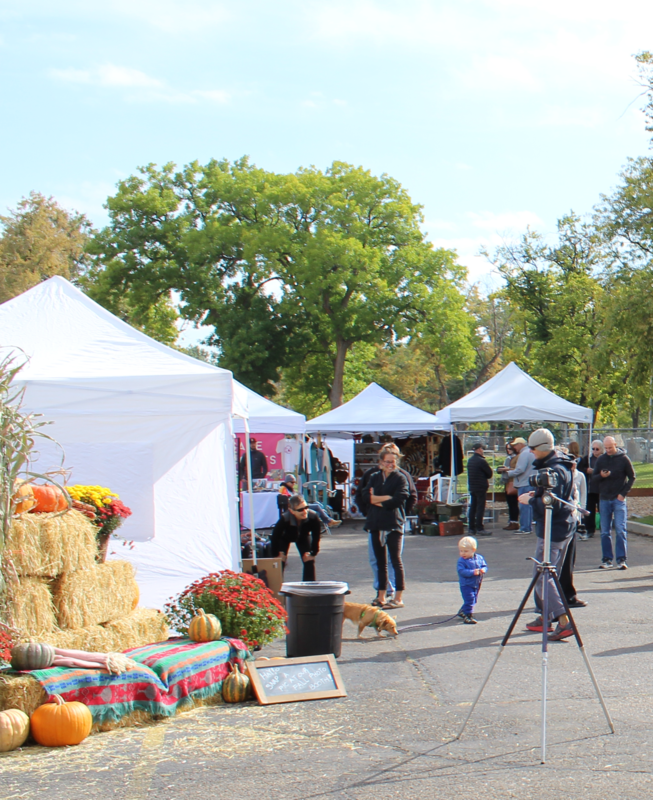 Attendees could get even more into the fall spirit with a seasonal photo op, complete with hay bales, pumpkins, flowers and cozy blankets. 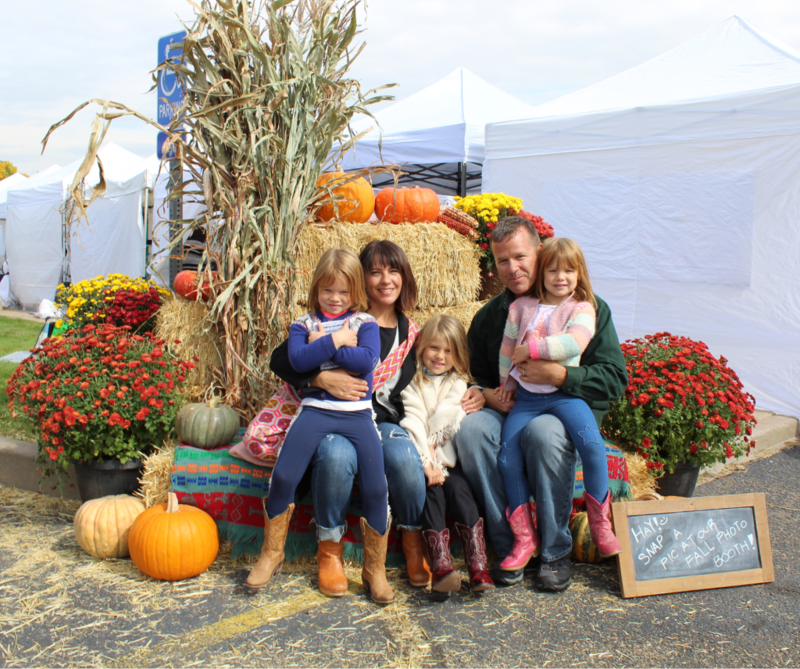 We tested out the photo op with the whole family! 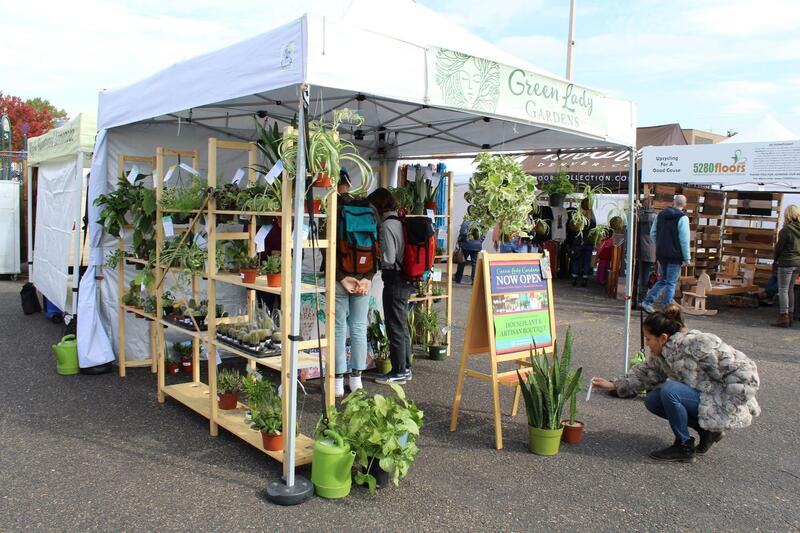 Green Lady Gardens, who just celebrated their new store opening! 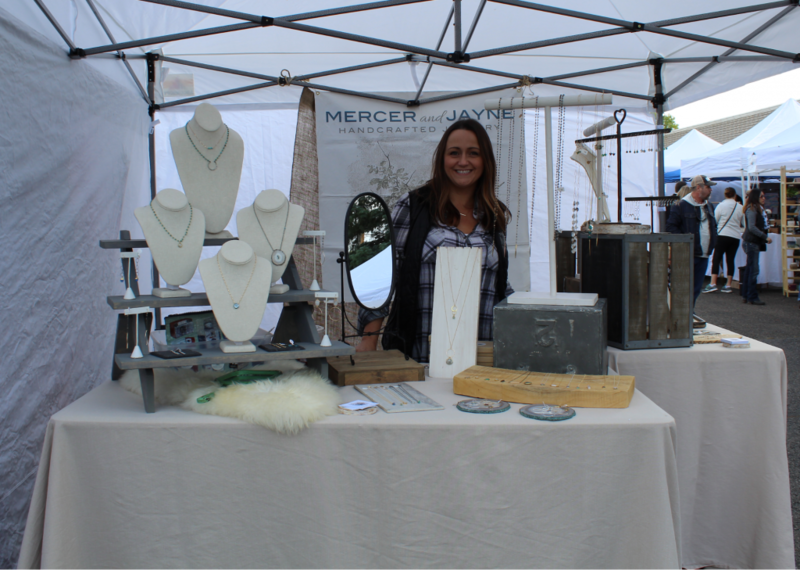 Ever since we started the market in 2010, the interaction between customer and vendor has been at the core of the “Horseshoe experience.” Of course, our wonderful makers were excited to help market-goers find just what they were looking for: a new item for a collection, a birthday or early holiday gift for a loved one, or a one-of-a-kind item that will be cherished for years to come. 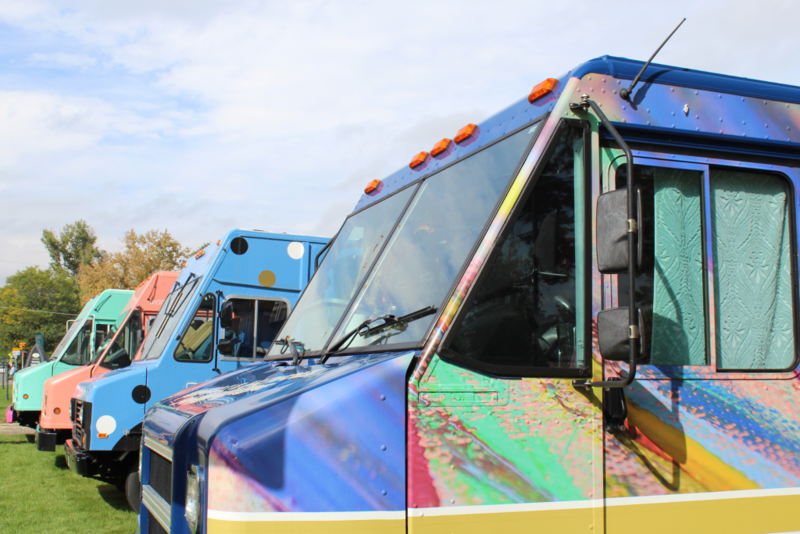 Foodies were in heaven with our amazing food vendors and food trucks! 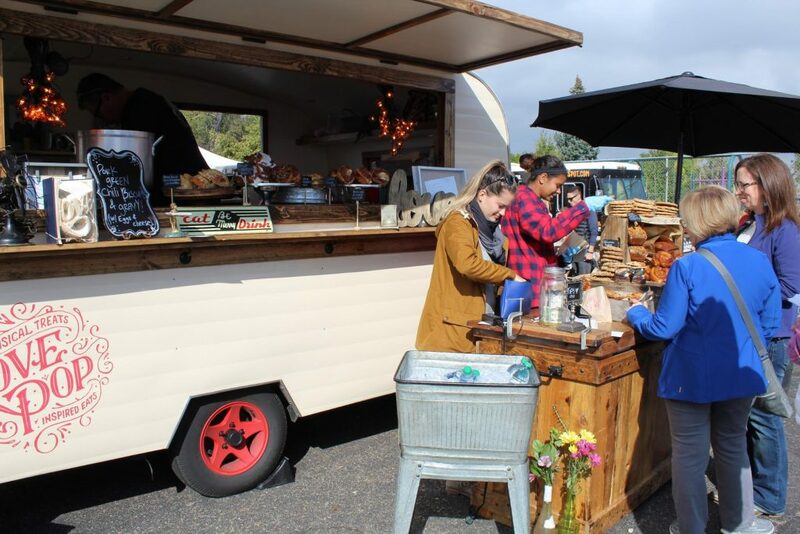 So many things were on the “must eat/drink list including: decadent PB&J sandwiches, amazing chorizo breakfast tacos, authentic falafel, gourmet comfort-food bowls, sticky buns with BACON! (yum!!! ), some of the finest coffee and hand-crafted lemonade….and so many others! 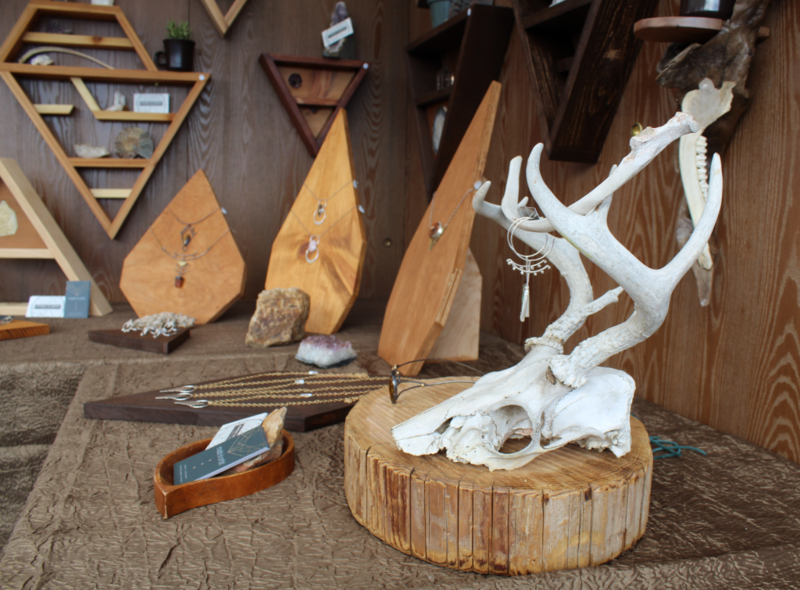 We saw makers with the most enticing, colorful and beautiful setups. 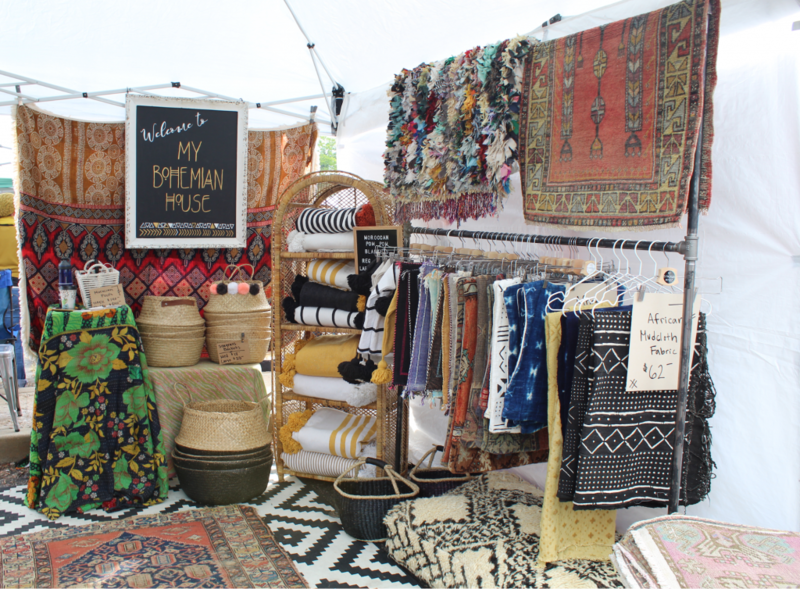 Each booth was an engaging and exciting mini-shop with it own feel and vibe! 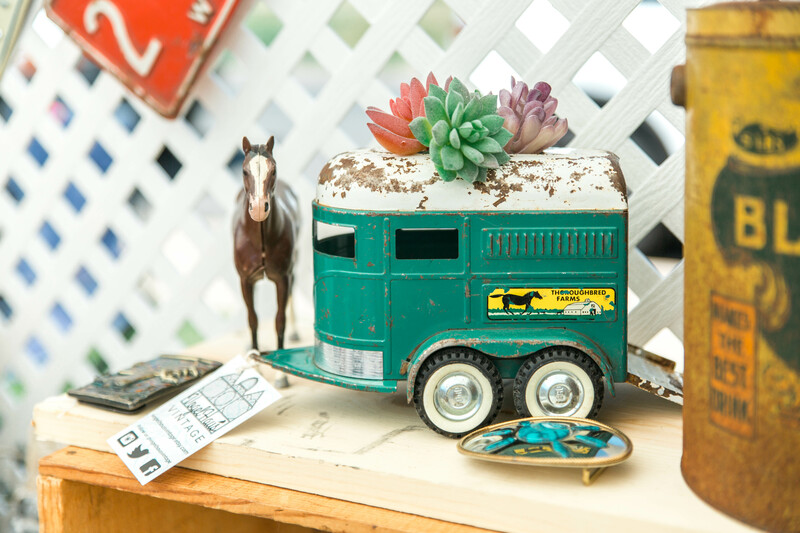 The “Mobile Boutique Roundup” featured some of Denver’s best and most unique shops on wheels! 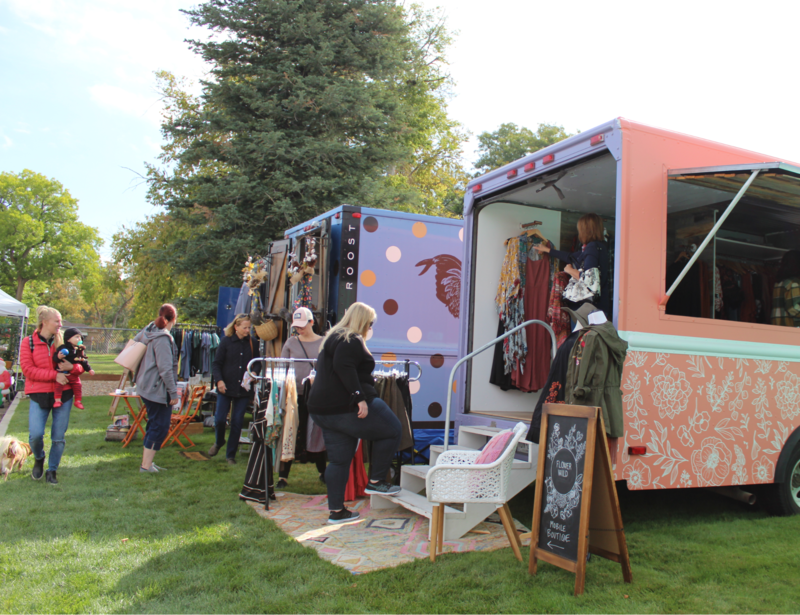 Mobile fashion truck lineup: Storytelling Strands & A Happy Canvas, denver fashion truck (hiding just out of sight! ), C’est Si Bon, Flower Wild, and The Street Boutique. 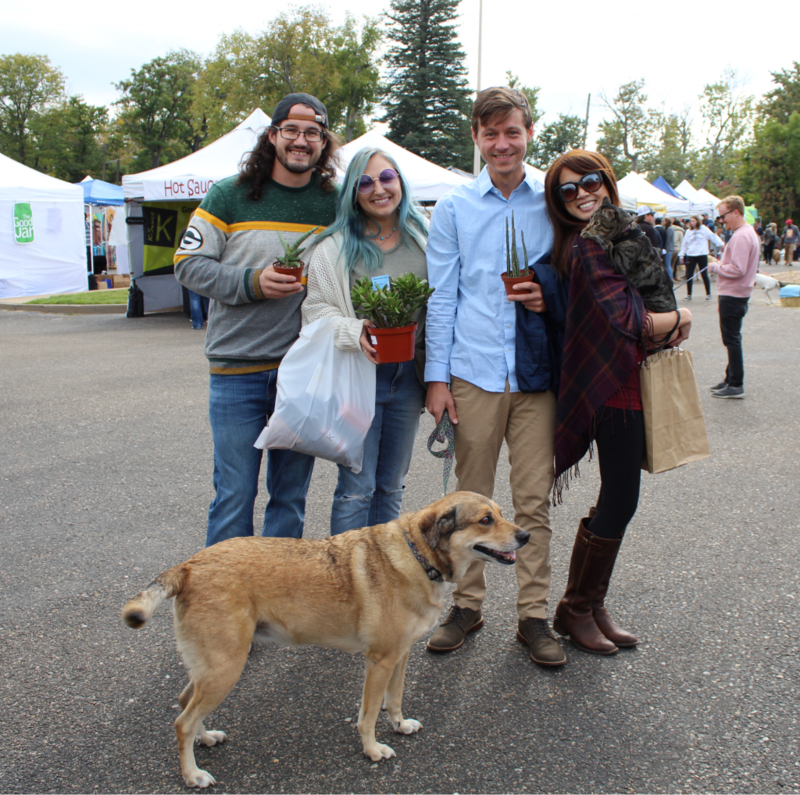 But one of the best parts of every market, as always, is you folks! Thank you all for making this market wonderful. 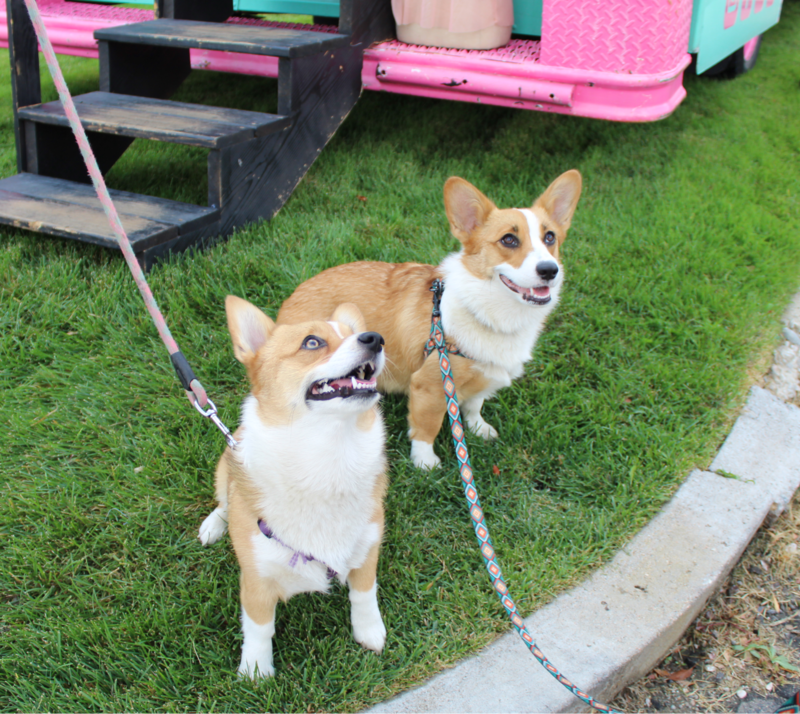 We can’t wait to see everyone at the next one! We would love to see some of the amazing things that customers found at the market! 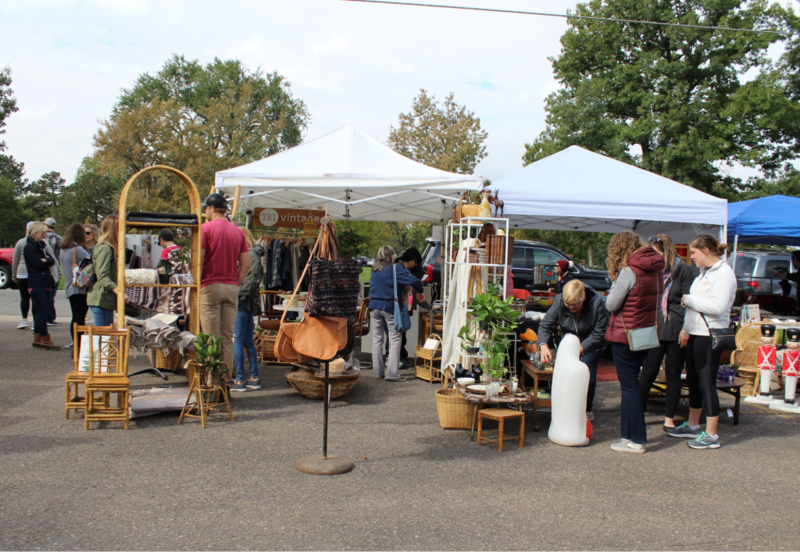 Post your #luckyfinds on social media and tag us, or check out what others discovered at the Fall Horseshoe Market on our Instagram or Facebook! Couldn’t attend the Fall Horseshoe Market? 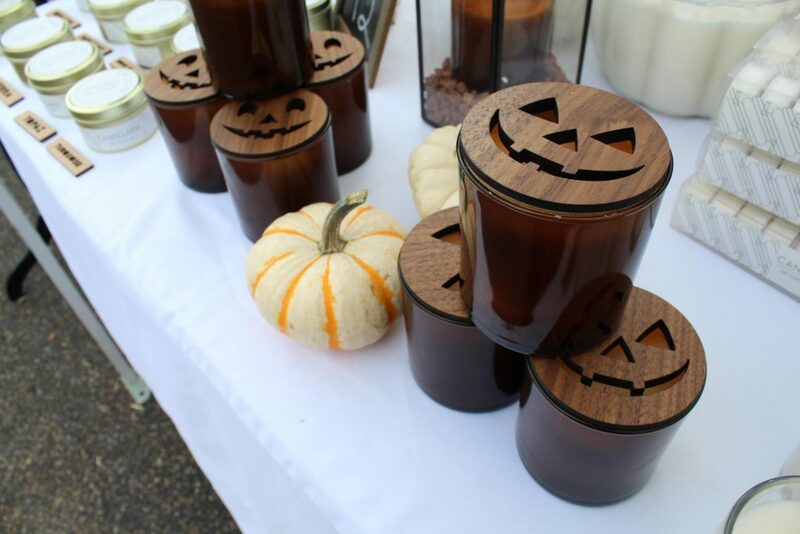 Don’t miss out on our Horseshoe Holiday Market next month at the Highlands Masonic Temple at 35th and Federal Boulevard on “Small Business Saturday and Sunday” (Nov 24th and 25th)! OR in Belmar during the month of December!